The herb garden is doing well at this time of year. 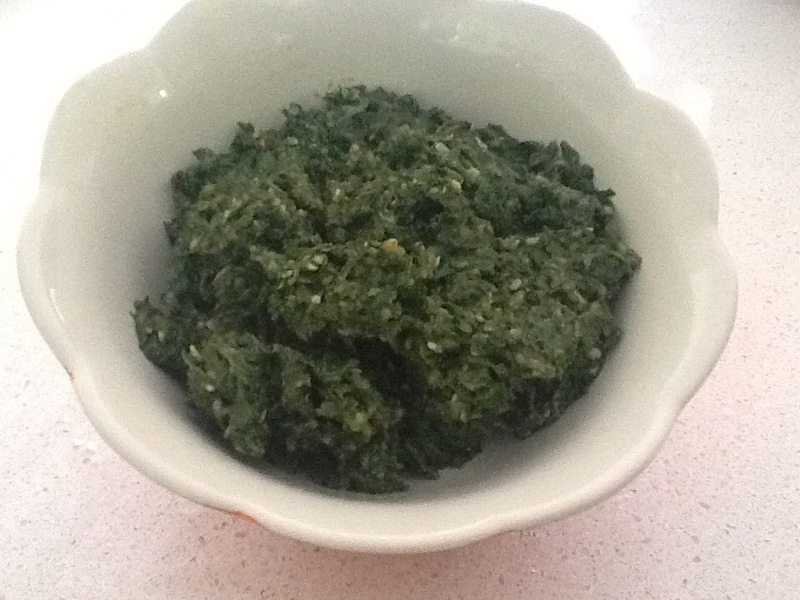 Basil is in full bloom so decided to make a batch of Pesto sauce ready for tonight’s simple dinner (also made some bruschetta using some of the Basil). Blend all the ingredients to desired texture. Store in fridge and use as required. 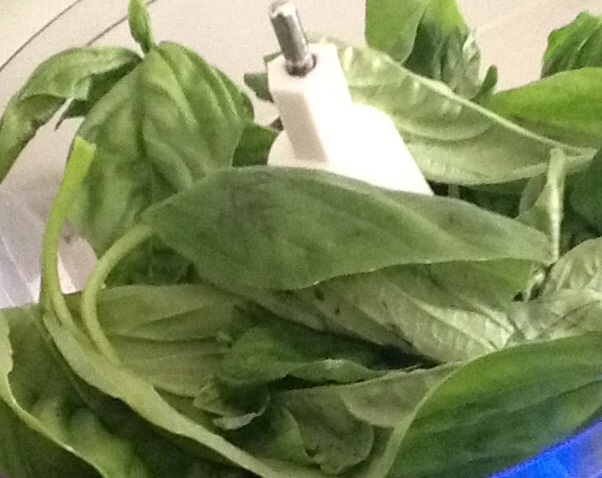 Great with vegetable noodles or pasta. 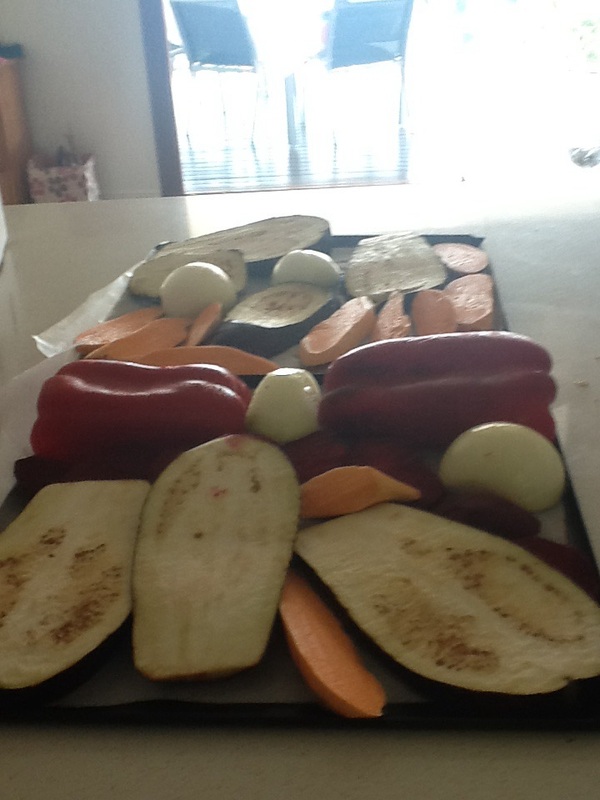 Vegetables slightly oiled ready to bake. Loving going to the markets At this time of year and buying freshly picked produce as there is so much to choose from. 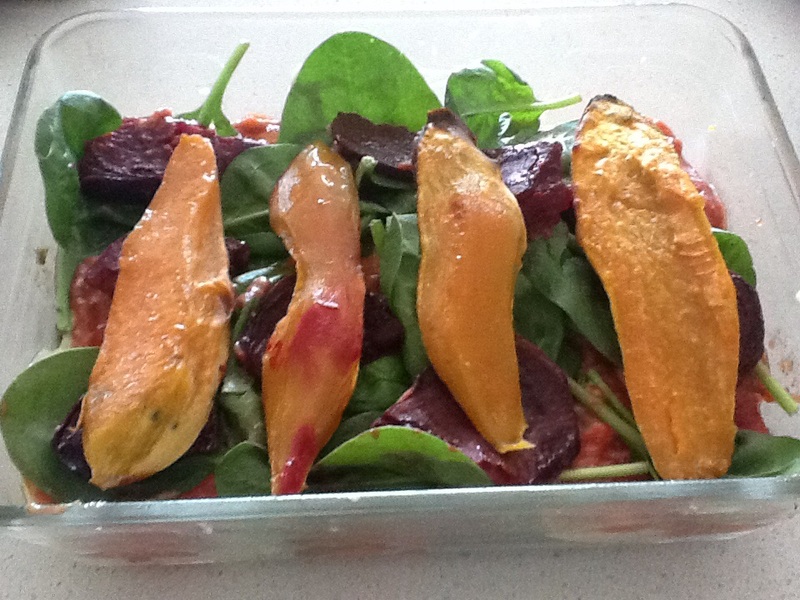 I Already had in mind a roast vegetable lasagna when I went, so came home with lots of colourful vegetables. 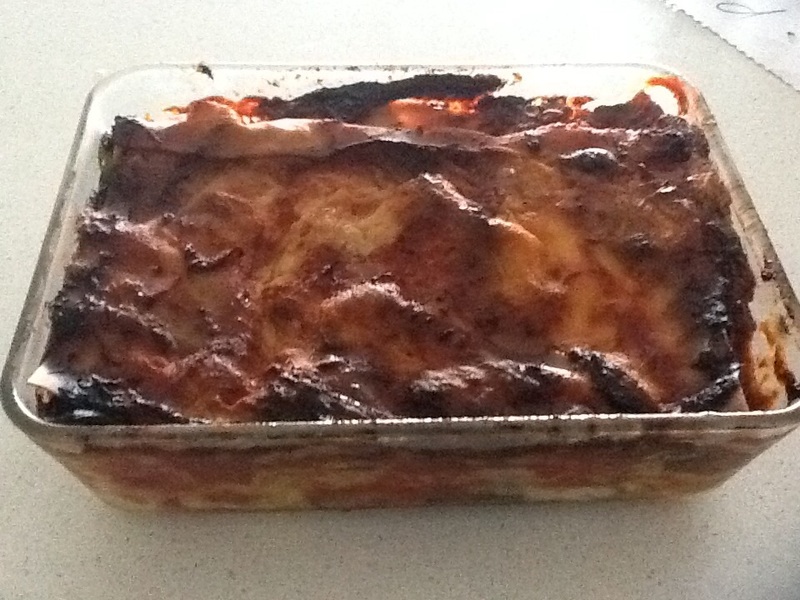 I made 2 batches one using lasagna sheets and one without (individual tins were the pasta free ones). Basically you can select what ever vegetables you like. You can be as creative as you like with the vegetable layers. 2. 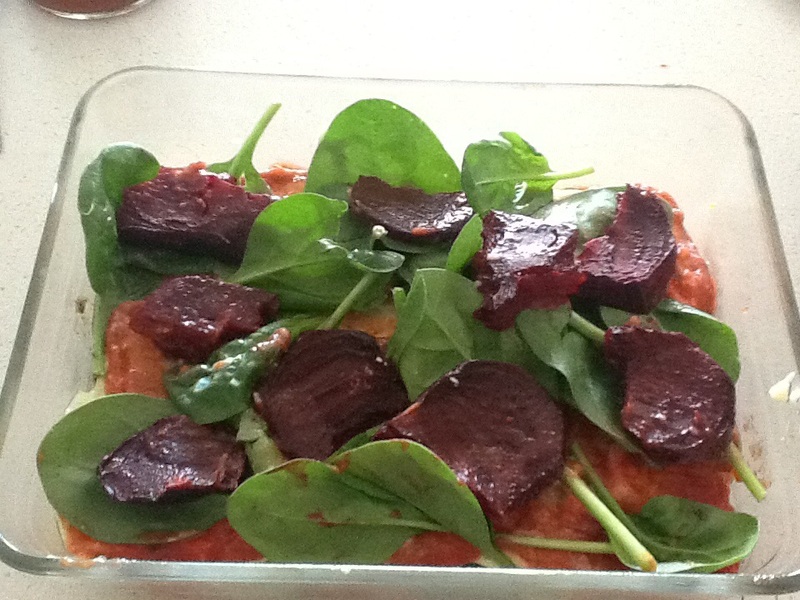 Add 2 to 3 layers of different vegetables then top with ricotta/pumpkin and tomato sauce. 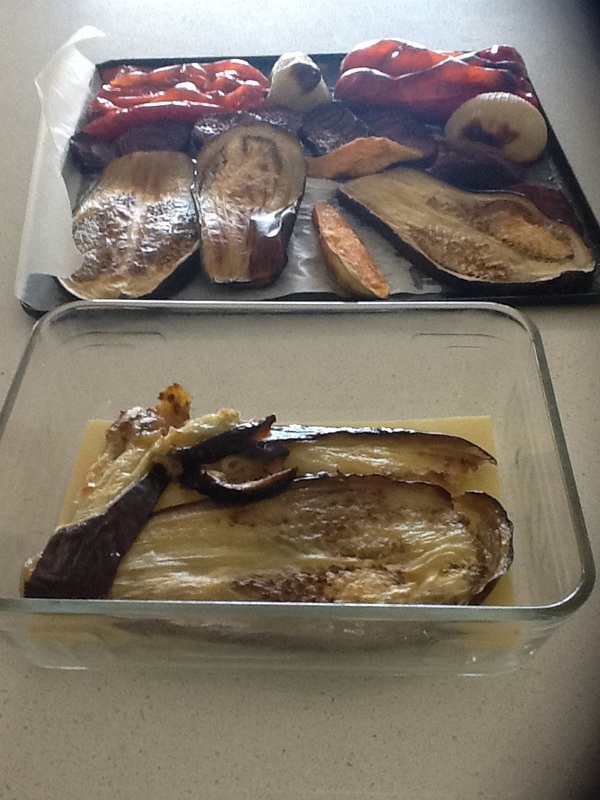 Add the lasagne or eggplant layer. 3. Add the next layers of 2-3 vegetables and top with pesto and ricotta/pumpkin. 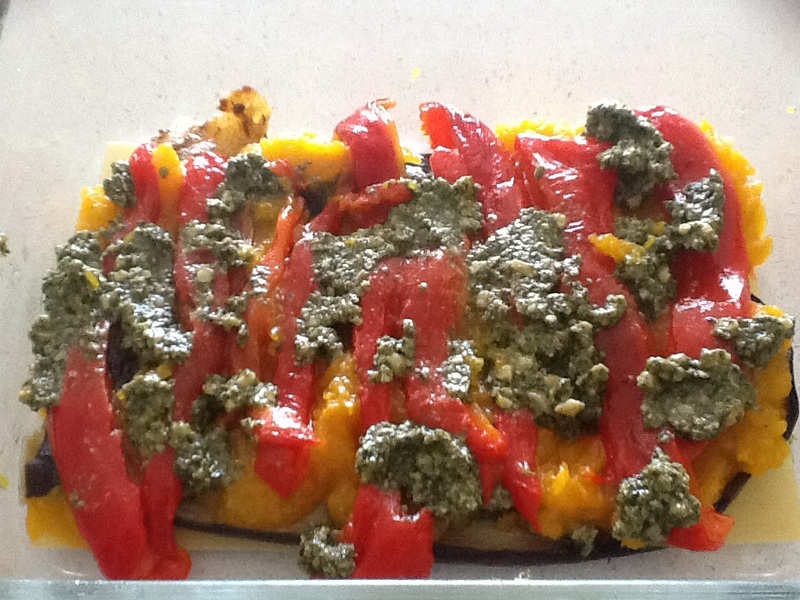 Repeat steps alternating between pesto and tomato sauce until you have filled the baking dish. 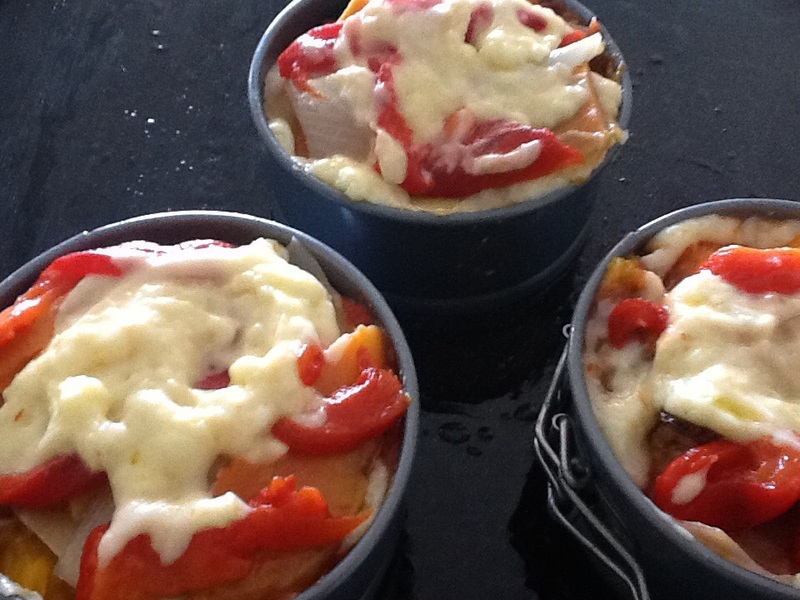 If you like a cheese option you can also add grated cheese to each layer. We all love stuffed mushrooms, with so many options it is a simple meal option that allows you to be creative. 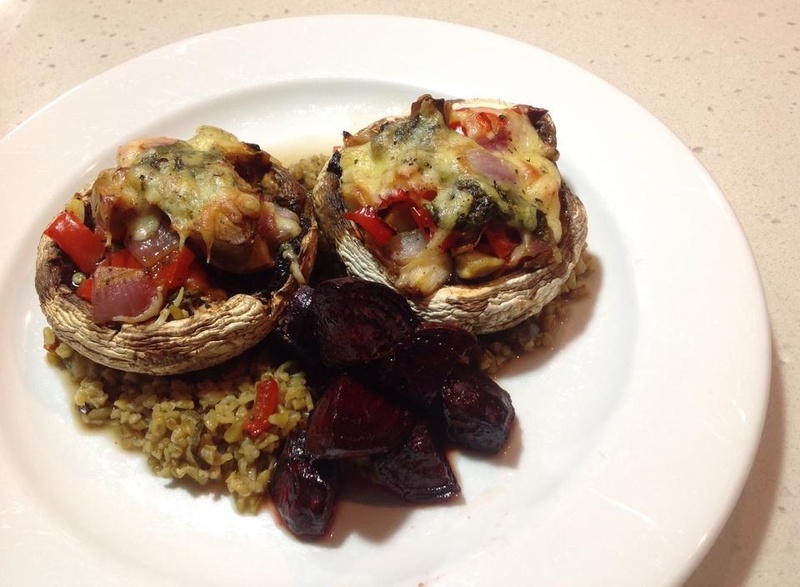 This is Nicky’s recipe of Stuffed mushrooms on Freekah with roast beetroot. 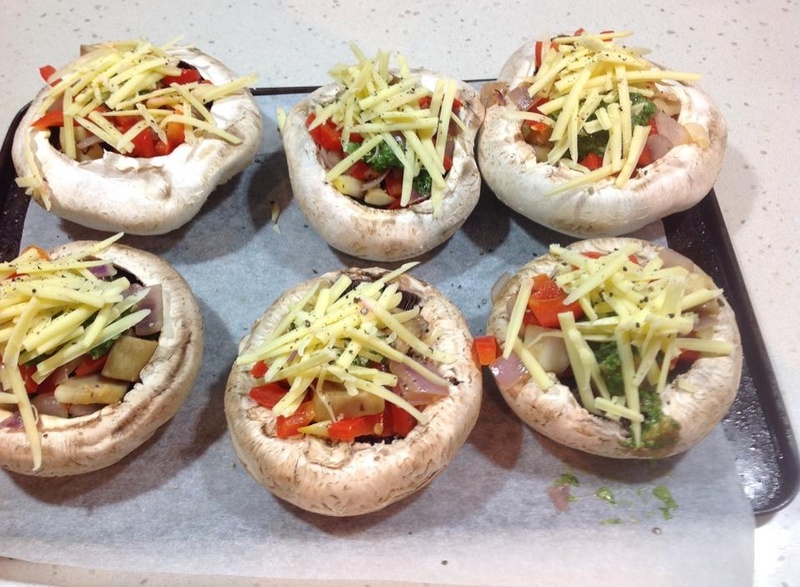 I stuffed the mushrooms with a spoonful of fresh basil pesto ( just oil and basil), sautéed mushroom stems, capsicum and red onion, then sprinkle with cheese and bake for around 30mins. I used cracked Freekah and seasoned it with a little salt and the left over sautéed veggies. Made the freekah as per instructions on box. All the family loved it and it seemed to be quite a filling side meal for teen boys who accompanied theirs with a piece of salmon.